Here at Bump HQ December the 1st has a big red circle around it on the calendar which means “drop what you’re doing for an hour, because Christmas just arrived” and this year not one stop was left un-pulled, with crackers, cheese, red wine and minced pies all round whilst the office was given it’s annual Christmas makeover. 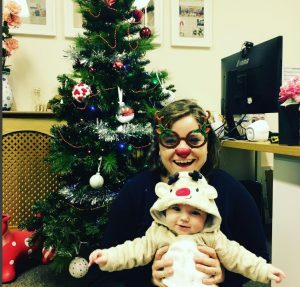 Christmas playlist on Spotify, the decorating in full swing, it became apparent there was a clear competitive divide between the two ends of the office not dissimilar to something seen between two packs of feuding hyenas only with more tinsel and lights. Whilst things have now calmed down, it is highly likely that this decorative standoff could escalate throughout December building into a festive crescendo just before the big day which may leave parts of the office inaccessible due to an overload of trees and lights. The national grid have been put on standby for power surges. 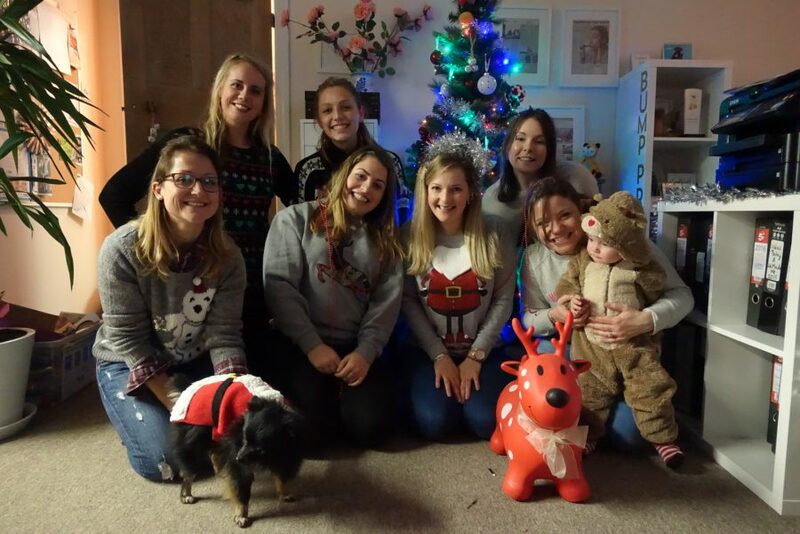 Toby the red nosed reindeer also had the date earmarked to showcase his latest outfit. Seemingly unaware of office tensions, Toby indiscriminately left a trail of destruction as he gleefully paraded around sporting his fluffy brown little number with antlers and a red nose. There is something we can all learn from that little boy, who didn’t care whose decorations they were, he just impartially undid whatever he came across first. Evidently, a diplomat like his father. Note to self, leave the bottom 2 ft of the tree bare at home. 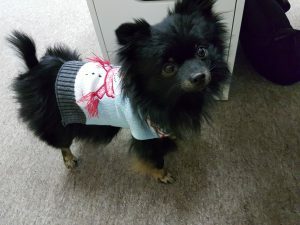 Speaking of Bare, Bear (see what I did there), one of the office dogs had her brand new festive outfit on too.. possibly the cutest thing on 4 legs. Other points of note, we learned that George really hates mince pies, and that Snowdonia Cheese company’s “Little Black Bomber” is the greatest cheese on planet earth. Fact. It can be bought in 3KG wheels for a mere £50 here. Bargain! Moving forward, we shall see how long the Christmas playlist lasts before not a single person can stand it any longer. Odds on favourite currently stands at December 20th. Other betting includes how soon I am going to get fed up of M&S Turkey Feast Sandwiches. My guess would be just in time for Easter.